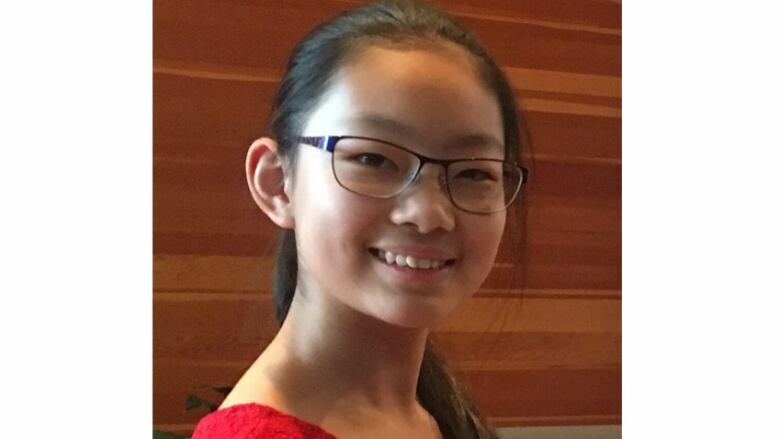 Bonnie Lu, 14, is one of 10 finalists in the Grades 7 to 9 category of The First Page student writing challenge. The Floating City by Bonnie Lu is one of 10 stories shortlisted for The First Page student writing competition in the Grades 7 to 9 category. Students across Canada wrote the first page of a novel set 150 years in the future, imagining how a current-day trend or issue has played out. Nearly 2,400 students submitted their stories. Lu, a student at St. Andrew's Regional High School in Victoria, B.C., tackles climate change in The Floating City. I awoke to manic cries and the sounds of… skin. My heart immediately kicked into a gallop and I sat up quickly. At the sudden movement, my skull throbbed and I blinked my eyes in pain, trying to clear my blurry vision. I knew it was futile; I had already gone months without glasses, and in a place like this they were a luxury. A scuffle was occurring two garbage heaps away. A boy dressed in rags, his bare limbs bony and bleeding, dodged the swings of a wild-eyed girl. The girl screamed hoarsely as she landed blow after blow on the boy. I turned away from the sickening sounds, trying to get my bearings so I could escape as quickly as possible. I thought I had found refuge in this garbage field tucked away from the crumbling remains of the Old City, but already others had found it and were fighting over the territory. It was best that I fled before I was seen. Clumsy feet tripped often as I picked my way through the slimy waste and examined the sky where the New City floated. With its gleaming white skyscrapers, colourful flora and polished asphalt roads, the New City looked like something out of the fairytale book that my nana read me every night before the Transition. Now, all I had left of her and the book were memories as broken as the boots on my feet. I spotted a pristine PortOrb descend from the New City to earth, 50 metres away. I already knew what was inside, but still I watched as its glass doors slid open and emptied 10 hulking bags of trash onto the damp ground. I pictured myself hurtling towards the PortOrb, crashing inside the pod just as its doors closed, being taken to a better life in the New City. Impossible of course; the motion sensors in the pod would detect and blast me to bits before I could even set a foot inside. But still I imagined. I could practically hear my mother scolding me for it. My stomach growled as I trudged, and I sighed at the notion of scavenging for breakfast. Or was it lunch? Lifting my forearm, a built-in screen flickered to life. 11:42. It made no difference to me. Down here, it was always dark.